Just popping in with a quick gift guide today. 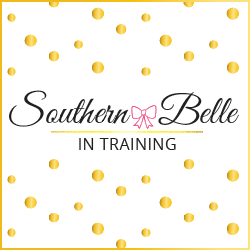 This one is perfect for all of the preppy ladies in your life- or perhaps even as a little gift to yourself! Lilly Pulitzer's bright colors and bold prints are usually synonymous with summer weather, but I happen to think that a little bit of Lilly under the Christmas tree could make the winter season seem a whole lot sunnier. 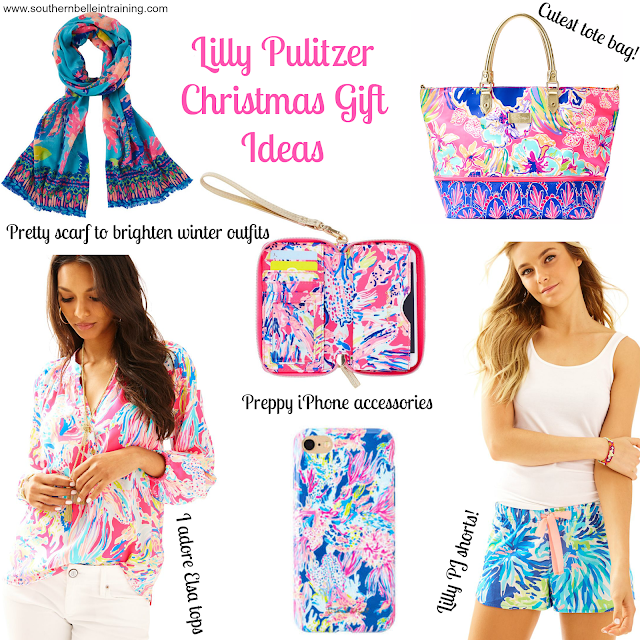 Three of my favorite Lilly items are featured here: an Elsa top, an iPhone case, and a scarf! I've had a few Lilly iPhone cases in the past and have loved them- not only are the colors gorgeous, but they hold up very well! Lilly scarves are such a fun way to add a pop of color to any outfit. And Elsa tops have become a staple in my wardrobe, especially since entering post-grad life and having now having to wear business casual clothing more days out of the week than not. But I truly think anything shown here- or let's be honest, anything Lilly at all would be a great Christmas gift for a pink and green loving lady. Hope that y'all are having a great week! Yesterday I finished a very big project at broadcasting school that I was working on with a classmate throughout the whole month of November- it is such a relief to have that over with! Of course I have another equally big project now that's due this Thursday... despite the fact that broadcasting school doesn't follow the traditional college schedule, you'd think it was Finals Week around here! Loving all of your picks! I need that tote bag in my life, such a fun pop of color to any outfit! Yes!! Lilly everything, love all of your picks!! These gifts are so cute! You know I love my Lilly and those PJ pants are so cute! I adore Lilly! everything is so cute and colorful! Those PJ shorts are too cute for words! Lilly is ALWAYS a good idea! This has got to be my favorite post of the day! Lilly Pulitzer is everything to me! I just love the great colours and soft patterns!! Such great ideas! What a fun roundup! Love all of the bright, pretty prints. Those pj shorts are SO cute! LOVE ME SOME LILLY!!! Definitely going to be adding an iPhone a preppy iPhone accessory or two to my list now.